Pronounced - SENN- high-zah. Everyone struggles with this so we thought we'd pop that in first up! This is the new version of the hugely popular and frankly brilliant DW Pro 1 and also comes with extra wearing style options. The SDW5000 models come in 3 variants. 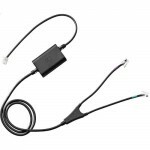 All are also compatible with Skype for Business and all major softphone applications: You're looking at the Convertible version which has earhook, headband AND neckband included in the box. Launching approx March 2019, the Pro Mono; a headband style which is what about 80% of people want these days. Also the Stereo; a headband only '2 eared' model. All of the options can be worn with the microphone arm on the left or the right. As a company we’re proud to be able to offer the new SDW range to our clients and we challenge anyone to find a better headset range. Plantronics had dominated the Australian market for such a long time but you can certainly argue that Jabra and Sennheiser are now in full competition and competition is a good thing! The headphone and microphone gurus at Sennheiser have used their 60+ years of audio experience and R&D to create headset perfection. As we always say, the golden rule of headsets is to buy the best you can afford and, we hope your boss has given you the ok to buy any model in the new SDW range. 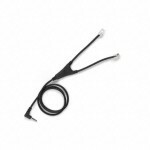 As with all wireless headsets you will need an accessory to answer calls from the desk phone when out of reach. We know, it seems crazy that even such a sophisticated headset as this can't perform this apparently simple task but there are so many different phones all with different requirements that this functionality just can't be built into the headset. We call it a RAD (remote answering device). 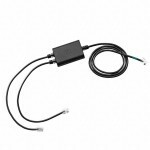 It could be a standard handset lifter or a special 'electronic hook switch' (EHS) cable that runs from the base unit to the telephone - it all depends on which make and model phone you have. If your phone has a USB headset port you may not need this but at time of writing, those phones are as rare as hens' teeth. If you use Lync, Skype for Business or Microsoft Teams you'll be pleased to know the 5000 series is optimised for your programs. If you don't, it won't affect you in the slightest, you can ignore that last sentence, sorry to have wasted 5 seconds of your life. 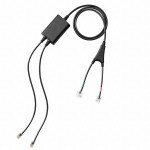 Connections - The SDW 5000 Series will connect to Desk phone ( of course), it has 1 USB interface (to connect to a PC for Softphone or other applications or indeed desk [phone with USB headset port). 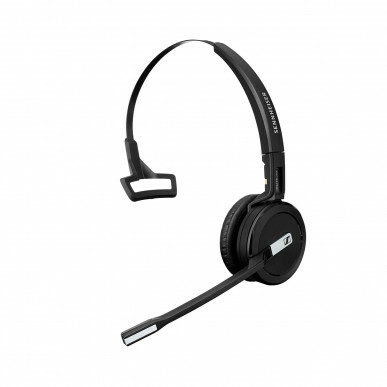 If down the track you want to also use this headset with a mobile phone (in the office only) you can add the BTD 800 (Mark ii) to the base unit and pair your mobile to that. 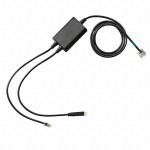 However if you think that's a possibility, we suggest getting the SDW 5016 now as that comes with the dongle and will work out cheaper in the long run. Sound quality - Sennheiser has this NAILED. The DW range has the best quality sound we've experienced and we expect the SDW range to be the same. If you're looking for the best quality sound in and outbound, you can stop looking - this is your new headset. 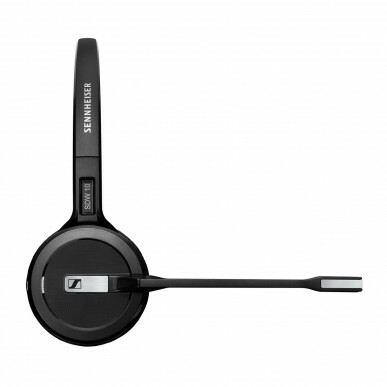 Most of the Simply Headsets staff already use Sennheiser headsets. (Sophie loves her Sennheiser so much her hubby gets jealous!). The SDW5000s have SUPER wideband to ensure a natural sounding voice no matter what device you're using it with and it has High Density Wideband to ensure best call clarity in offices with many users (such as call centres). If density is an concern for you you should also have a look at the Jabra Engage 65 Series. Microphone quality - Sennheiser are keeping the ULTRA noise cancelling microphone (they have 2 noise cancelling mics!) which is VERY good news for anyone in an noisy office who wants to sound like they're in their own private office. Nothing is less professional that customers hearing the hubbub around you, so this, along with the older DW series remains the best option option for you if you don't fancy sounding like you're in a call centre or have crazed colleagues around you! Busy light - There's an inbuilt online indicator light - a flashing blue light on the ear to show colleagues when you're on a call. Anyone who has ever had to show a colleague 'the hand' when they interrupt them on a call or has gone through the over-exaggerated 'are you on a call???' mime will know that this is a brilliant feature. There's also an external online indicator available as an accessory (have a look lower down at the 'Accessories' tab) that you can put on your desk for a more obvious indicator that you're busy / free. This more obvious light is perfect for receptionists or anyone who greets the public. Just a little to sign to say 'If this light is flashing please take a seat, I'm on a call but will be with you in a moment', saves all the uncertainty and puts clients at ease. 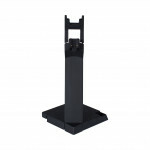 Range - The line of sight range is advertised as up to a staggering 180 metres, better even than the new Jabra Engage series BUT as with all headsets this will diminish with interference from electronic devices and also if you're going though doors, partitions etc. Stairs and concrete walls will have the greatest impact but also glass partitions and anything that enters line of sight between your headset and it's base unit. Of course if you start with the longest range possible you know you've got the best chance of maintaining signal. 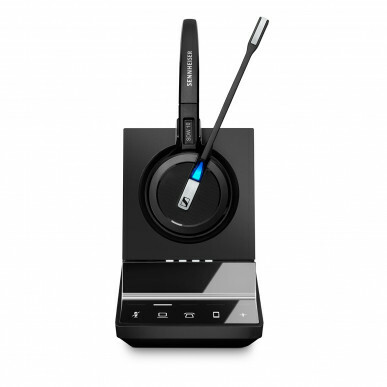 Sennheiser reckon that on an average busy office their range is 55m. (We've found it to be a bit better than that). Bluetooth range is a different entity. 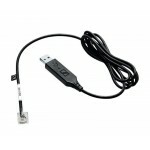 NB this only applies if you purchase the BTD 800ii USB dongle, as we've said. If you're thinking of doing so, please go to the SDW 5016. 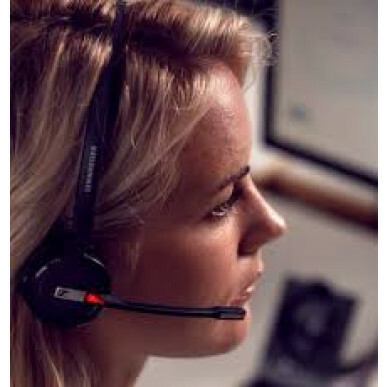 The connection is from the base unit to your mobile phone(s), not directly to the headset so if you leave the phone on the desk you'll get the same headset range as above. 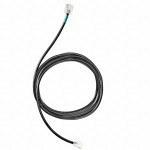 However if you cannot bear to be parted from your mobile when you leave your desk then the range from mobile to base is 'up to 25m' BUT this is also dependent on your phone - most will be approx 10m (ie the distance that you can take the mobile from the base unit and still maintain a connection to that base). This is the same with all headsets. 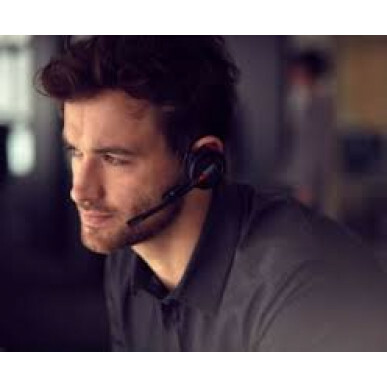 If you want a headset that you can also use out of the office, this is not it. We recommend a separate BT headset for out of the office use. Is that your phone ringing or mine? - If you're familiar with the old DW range you'll know that they have 6 little white 'dipswitches' on the back of the base unit. The new SDWs have 8 and each one has 3 positions instead of just 2. This has greatly increased your ability to tailor the headset to your requirements in terms of range (great for dense usage or to extend the battery life), sound quality of both music and calls & sound limiter to ensure hearing protection. You can also set the base unit to ring and chose from different volumes and ring tones. This is particularly useful if you have a softphone so you can tell when it's ringing and distinguish between your calls and a colleague's! 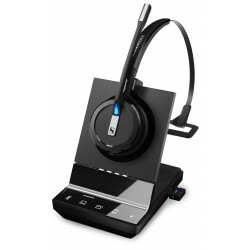 * You can conference up to 3 additional headsets onto one base unit - great for conference calls or training. 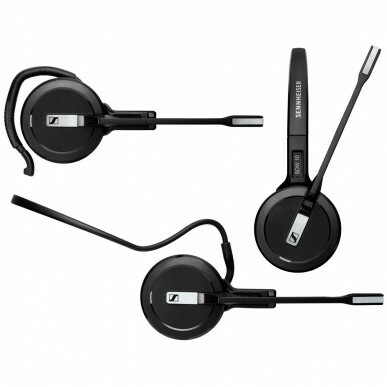 You can add a Sennheiser USB corded headset too - again super for training. 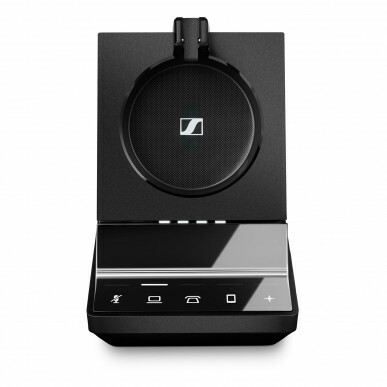 Or even a Sennheiser speakerphone (USB). * You can plug in a Sennheiser USB dongle and connect a Bluetooth headset into it. Why is another matter but we're sure someone will like this! 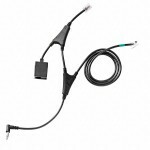 * All wearing styles and versions of the headset use the same style base unit so no matter what headset style you opt for (when the other versions are available that is) it will work on any SDW base unit/ Of course if you have a USB only base it with only work with a USB device but means you don't have to invest in top of the range headsets across the office when some only need limited connections. * You can merge calls coming from 2 devices eg PC and desk phone into 1 call. 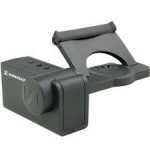 You can also switch between calls coming from different devices with either the base unit or the headset. * The super fast charge is SO handy when (not if) you forget to dock it overnight. Most headsets take an hour or more to charge to 50% but with a DW in just 30 minutes you'll have enough battery to see you up to lunchtime. The SDW series is only launching with the 3 wearing style option. Not the more sturdy headband only or duo wearing styles. The ear hook style looks seriously over-complicated to set up. Sennheiser have actually produced a 2 minute video just on how to attach the earhook, plus others on the headband and neckband styles. Please be careful and watch the right video as it looks somewhat fragile and if you break the ear hook or the headset, you may not be covered by warranty. Of course once you've worked it out, like everything in life, its easy! If you're a Mac user please note that like all headsets from time to time you'll need to update firmware of the headset. Sennheiser (at time of writing, June 2018) don't have a Mac version of their firmware update. The headset will work FINE with your Mac BUT you'll need to access a PC or non Mac laptop to update firmware. The battery has to be changed by a technician. 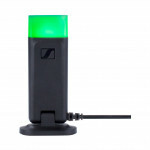 Initially this will be done by Sennheiser for you as a warranty claim if something happens in the 1st few months. After that... we're not too sure. Those details are being nutted out. That said we have a great relationship with Sennheiser and have found they are just as customer centric as we are. We're sure it will be OK. 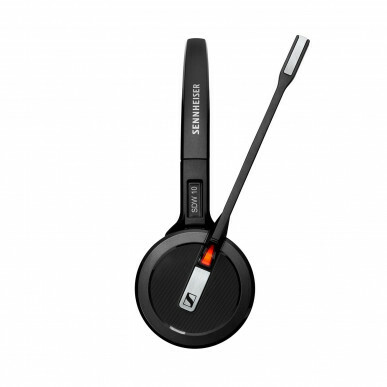 The Sennheiser SDW 5015 offers the same great features of the DW series with some improvements and useful additions. If you're a Sennheiser fan (there's a lot of you out there!) you'll be very happy to get your hands on one of these. If you're not already a fan, we reckon this will convert you. Don’t want to go with a Sennheiser? 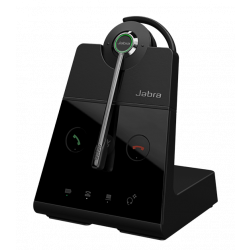 Another worthy contender is the latest Jabra Engage 65 Convertible It’s an excellent unified communications option for desk phone + PC, with some ingenious features and 2 wearing styles in the box - earhook and headband. 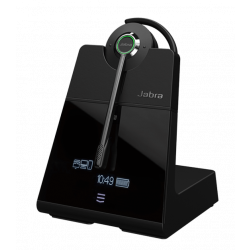 If you're on a tight budget the Jabra Pro 9450 is worth a look to work with PC & phone at a hot hot price. Alternatively, Plantronics fans like the Savi W740. This is an older model now and our staff tend to think they simply don’t have the flair or style of the Sennheisers. 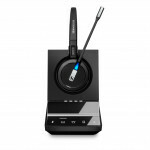 Also the W740 connects to a mobile and if you're looking at this headset you don't need that connection, so you're paying for something you don't need. Charge Time 0-50% in 30 mins, 100% in 1hr.